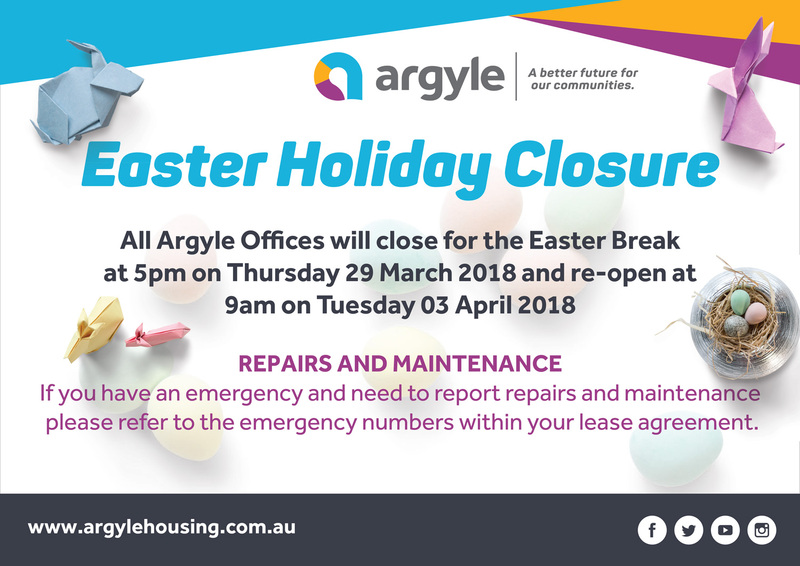 All Argyle Offices will be closed over the Easter break from 5pm on Thursday 29th March until 9am Tuesday 3rd April. If you have a maintenance or repair emergency and need to report it please call the after-hours emergency maintenance number that is on your tenancy lease. Thank you and have a Happy Easter.